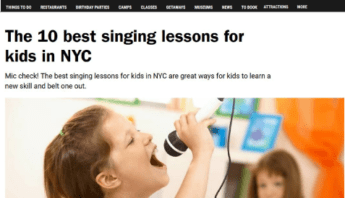 Why take voice lessons I am told I already can sing? 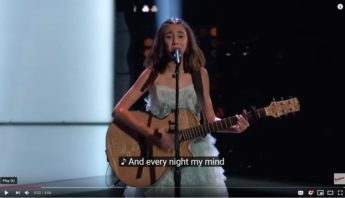 Natural talent can go a long way but it does not replace learning to sing with healthy and proper vocal technique. Unfortunately, 99% of us have the same “human habits” which must be replaced with new good habits and that journey starts when you begin learning about your instrument, your voice. 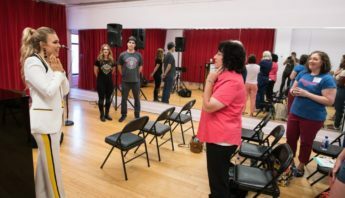 We will demonstrate techniques to you and in the process of practicing them, you will learn about your singing system and how to best utilize and coordinate the working parts. Why is lack of proper breathe control such a common issue? Our human brains are always analyzing and thinking and breathing is often overcompensated for by the wrong body mechanics. Those who have taken yoga or play a wind instrument already have a better understanding of proper breathing but the rest of us have yet to learn the magic of breath support. Breath support is vital and can affect all other areas of your voice including pitch control, dynamics and tone. Will the lessons expand my vocal range? 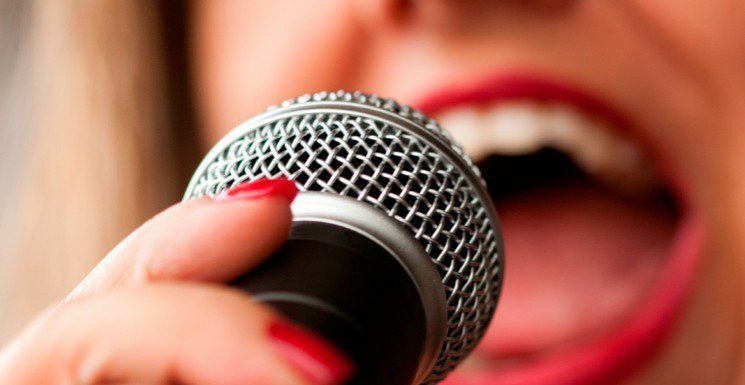 The vocal chords are muscles and just like working out in the weight room can build and tone your arms and legs, doing the vocal exercises we give you will strengthen and condition the vocal chords resulting in a more powerful and responsive instrument. If you do your work outside of class, you will feel the difference in your voice in weeks and even more so after several months. As your voice gets in shape, your range will naturally expand upwards and downwards up to several notes. But again, the speed at which you can expand depends on how much work you put in. How can I get better singing in a group? Singing in a group provides for an encouraging and social environment which is fun and informative and reduces stress and anxiety while releasing endorphins to your brain. It’s cheaper than therapy and a lot more fun. 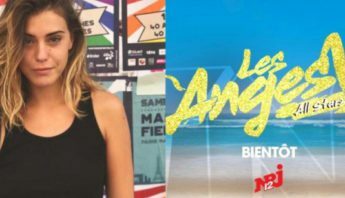 You may also meet other like-minded people or even find a new musical collaborator. I used to sing classical or opera style so would I be able to learn to sing modern? No matter what style your sing, the same basic vocal techniques such as breathing, pitch control, belting, head voice/chest voice, apply to all singing. There are certain characteristics to each style but one singer can definitely wear different hats and sing many different styles well. For example classical singers tend to use a big vibrato while pop singers of late do not sing with as much vibrato. Modern music also is more like slang and the diction and delivery is much more relaxed and conversational whereas musical theater requires a very pronounced American diction. What would you say to a total beginner thinking of trying a lesson? Everyone can improve their voice. We have seen drastic turnarounds and just like everything else in life, hard work pays off! Often times people don’t have the best pitch control and are surprised to find out this can be cured. The process of singing vocal exercises also provides “ear training” which is your brain’s way of tuning up your voice. We are known for being supportive and nurturing and you may be surprised how much fun it is and how fast you can improve. I am afraid of singing in front of people how can I do it? As you learn how to better use your voice, you self esteem and confidence will automatically shoot up as well. Singing enhances mood, spawns creativity and expresses emotions which can all be energizing and uplifting. Sing to express not to impress! 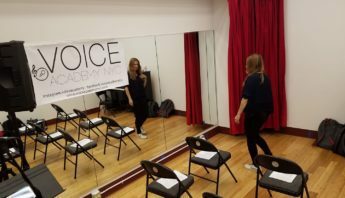 What sets Voice Academy NYC apart from other schools? We care about the progress of every student, respect all cultures and lifestyles and thrive on the diversity of this great city of ours. If you aren’t singing better and getting to the next level, we are not doing our job! We started helping singers over ten years ago and love hearing of every little success along the way. Our teaching style is calm and supportive and challenging in the right amounts.